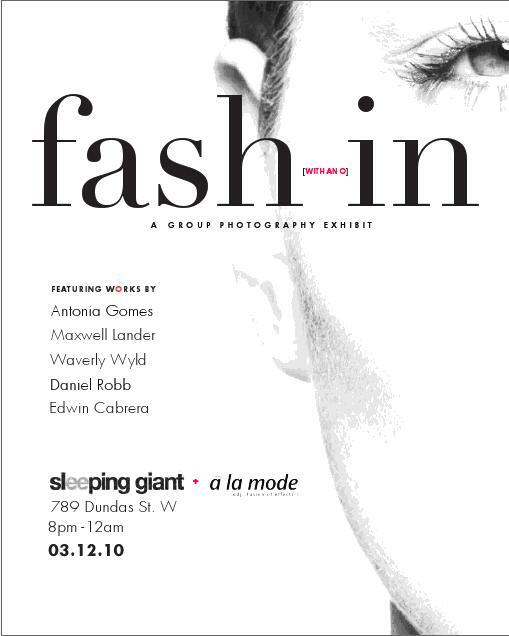 This coming March 12 I’m joining other emerging Toronto photographers from Toronto for a Fashion Photography Show here at Sleeping Giant Gallery. If you are around Toronto please drop by I would love to see you there. Also the fashion blog A’ La Mode (fusion of effects) interviewed me. You can read it here.